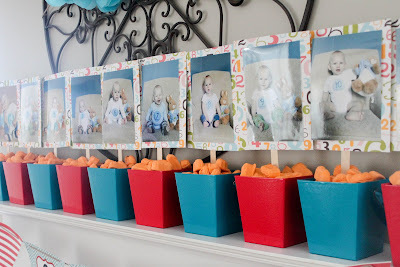 I Love You More Than Carrots: Carter's Carnival Birthday Party: Part One. Carter's Carnival Birthday Party: Part One. Well, Loyals. It's finally here. The week you've all been waiting for. Birthday Party Recap Week. "Why the week," you ask? For two reasons. Let me 'splain. First? I took over four hundred pictures during the prep and set-up of C's party. Did you hear that? Over four hundred pictures. I then took it upon myself to assume that you wouldn't want to see all 400 pictures, scattered hodge-podge in a post. You can thank me later. Second? I'm on vacation this week and I won't be back until August 10th. I use the term "vacation" loosely as we all know that vacations are wildly different when children are involved, especially so when they are your own. Did I mention this vacation also includes approximately 3,468 members of my husband's family? Like I said, I use the term "vacation" loosely. Very loosely, in fact. It looks like there will be 5 parts to Carter's Carnival recap. 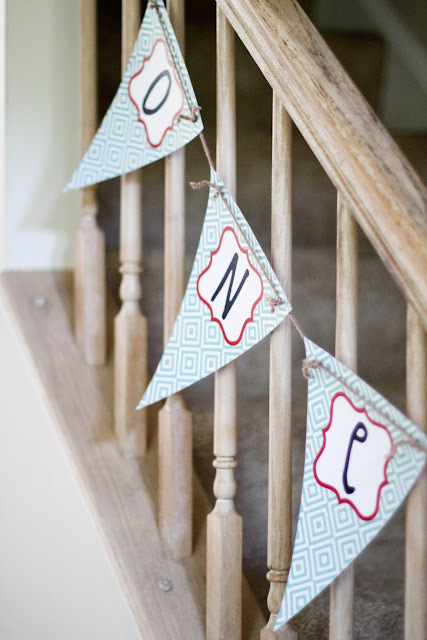 Decor, Food, Cake, Carter and Etsy Love. In no particular order, of course. Hopefully you'll enjoy looking through these pictures as much as I loved throwing this little shindig together! Will I do it again? What about Birthday Party Number 2? The verdict is still out. 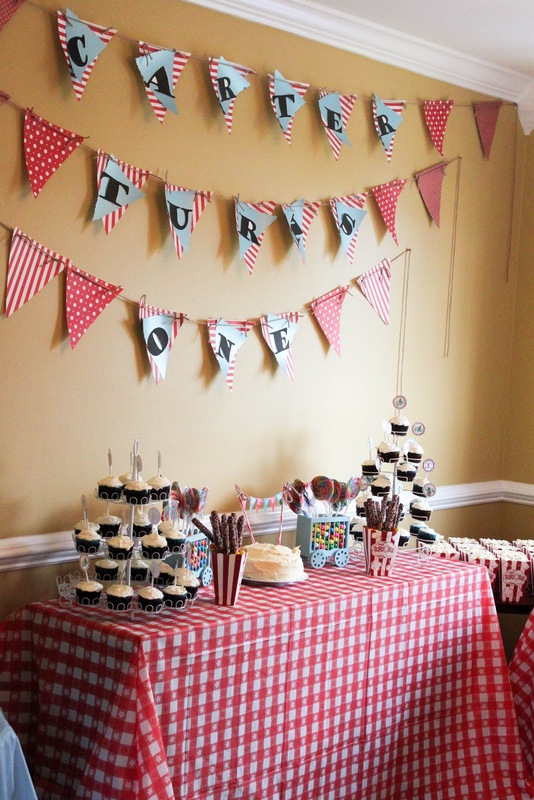 I'm not sure my sanity could handle another party planning just yet. Or my liver, for that matter! 1. finally, the balloon wreath makes it's appearance! 3. thank god for pinterest, free printables and picnik editing. 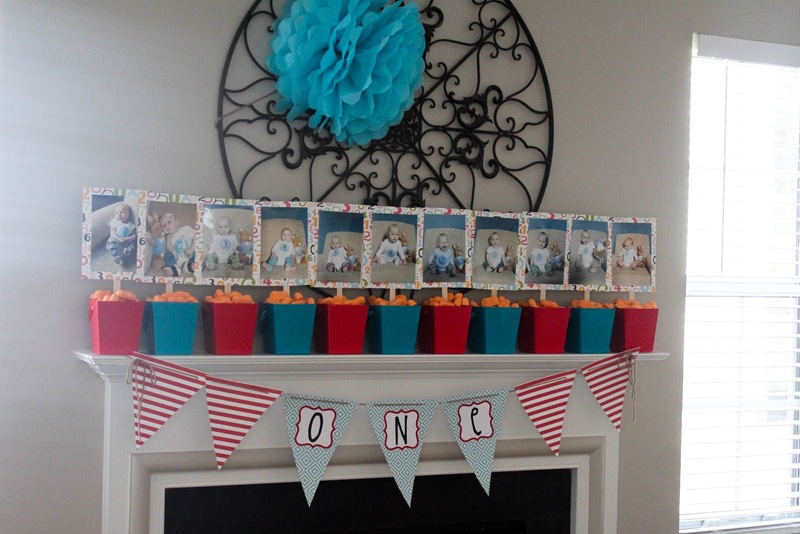 4. our mantle displayed C's monthly pictures. the pictures are backed with scrapbook card stock, taped to tongue depressors, jammed into floral foam and placed in treat boxes ordered from Oriental Trading Co. The floral foam was then covered with those gross orange candy circus peanuts that i can't quite justify eating. 5. the dessert table spread included red velvet cupcakes iced with cream cheese frosting, a classic white vanilla smash cake with handmade custom bunting, chocolate dipped pretzel rods and two circus carts filled with major choking hazards (ie: gumballs) and giant swirl lollipops. And yes, that birthday banner you see? Handmade by yours truly. Who knew AP was so crafty? 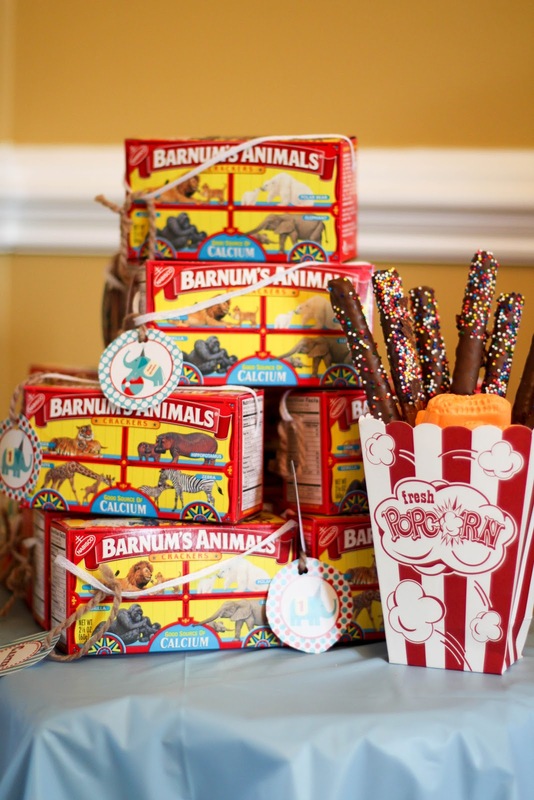 6. party favors were boxes of vintage Barnum animal crackers tagged with leftover cupcake toppers made by an etsy seller who will be featured later this week! 7. Carter's Carnival Cocktail was a huge hit. It was also a serious throwback to my college days. 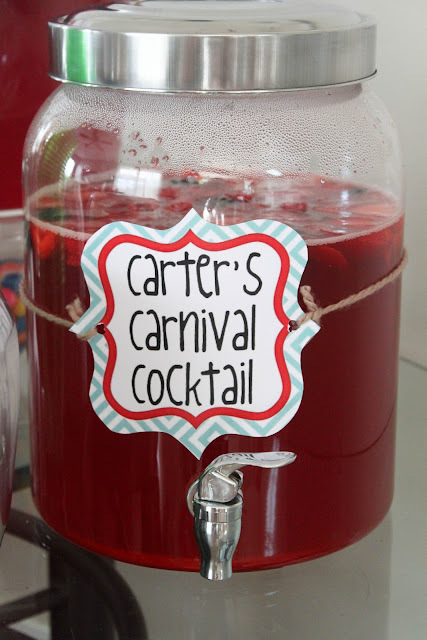 Tons of Twitter friends sent recipe after recipe for my call for "some sort of delicious red punch," and after sorting through them and combining a few favorites, Carter's Carnival Cocktail was born. Hawaiian Punch, Ginger Ale, Champagne and fresh fruit. Easy peasy and so delicious! 8. And so the photo stop was born. Guests were encouraged to don a nose, perhaps a bowtie or two and maybe top it off with some hip animal shades. They wrote personal messages of love and luck to Carter on a nearby chalkboard and posed for pictures. These pictures will soon find their way into a special photo book for C.
9. 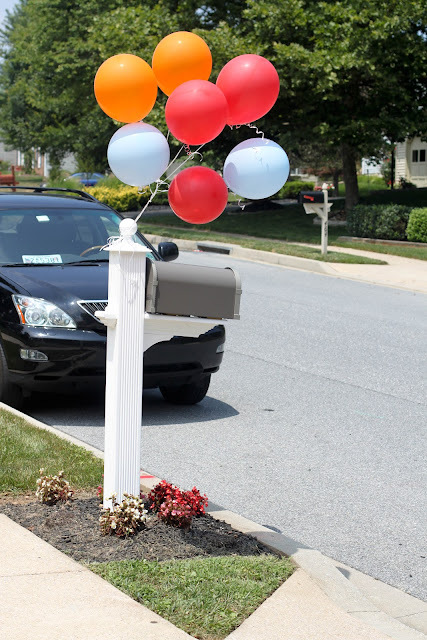 What would a party be without requisite balloons on the mailbox? So, are you intrigued? Perhaps, sitting on the edge of your just waiting for more? Stay tuned. Tomorrow's post is all about the food! Happy Monday, Loyals! This looks AWESOME so far...so creative! I can't wait to see the rest! Great job! The party looked fantastic, like I knew it would. Can't wait to see the rest of it. Have a wonderful vacation. 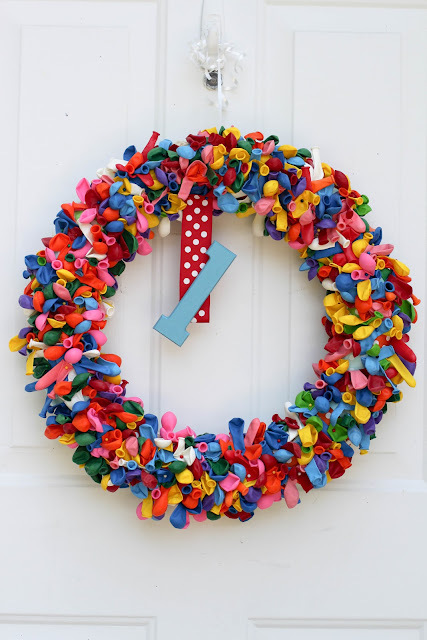 I made the balloon wreath for my daughters bday party too, as well as the chalkboard! Ha!! Everything looks great! Perfect! Congrats on all your crafts Lady! 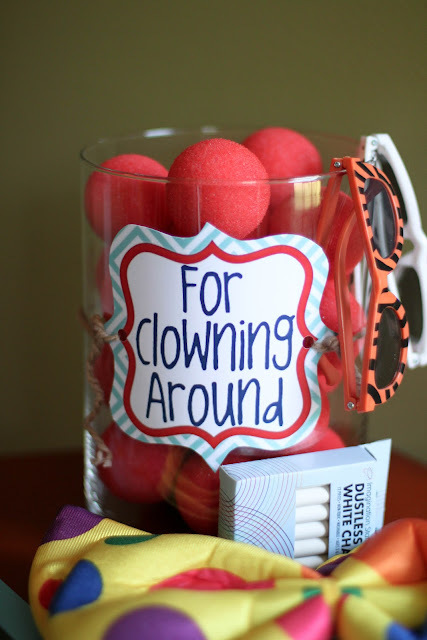 I love the circus peanuts as a finishing touch, but I"m with you on eating them...or not eating them I should say. It all looks incredible! Fantastic job! This is AMAZING! 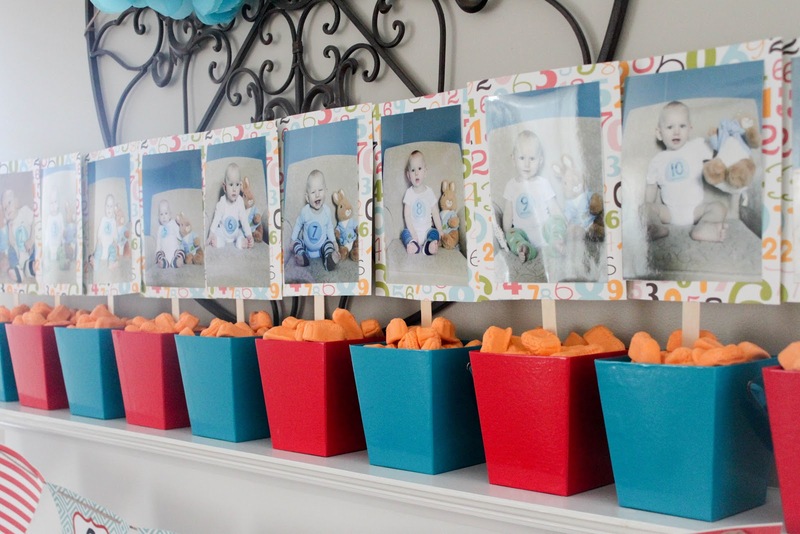 I love the monthly pics - what a great idea! Looks like the perfect party! Can't wait to see the rest. Love it all and makes me even more excited for KPs party! Well done mama! It's all so amazing so far! And yes I am waiting for more! Looks so amazing. So utterly amazing. Will you help me with E's party? PLEASE. I will bribe you with food and alocohol. You did such a great job!!! Everything is so cute! many an etsy shop is in your future?? i was just searching yesterday for a banner! love all of the decor, mama! Everything looks awesome!!! You did a great job! I thought about you saturday and hoped y'all were having a blast!!! can't wait to see more pix! Love, love, love!!! Please share your free printable sites :)Linked to you today regarding the ebay shortalls. Wow how awesome is that birthday party! I love all the details. It looks like a wonderful party. Seriously...too cute for words! I love, love it all. I think you lived up to...and surpassed...your bloggy friends' parties! I gotta get on this party planning thing. Amazing job!! You seriously left no detail unturned! Super cute! 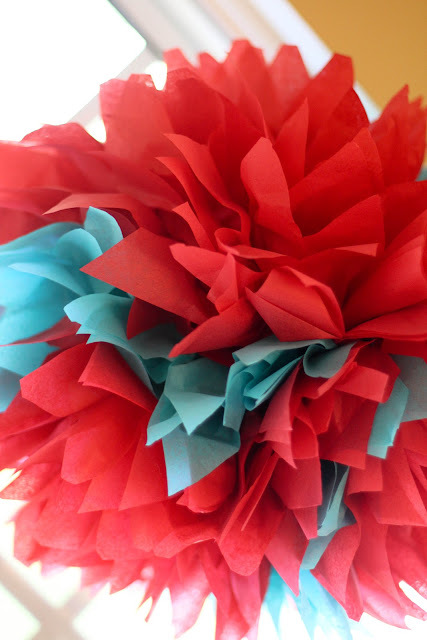 Might have to pinch a few ideas for my little one's first bday (which is aaaagggees away!) I love that you featured the month by month pics, and the photo book is a great idea! you did an amazing job, love. OMG girl! You totally outdid yourself! That was amazing. Super cute and thoughtful touches. 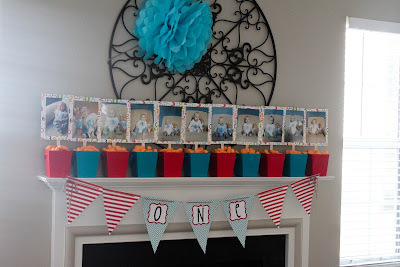 Loved the way you had your mantle set up! You need a party after that party to celebrate your mad mom skillz! Please Don't Break Up With Me, Okay?! Some Crayons and Paper and A Whole Lot Of Love. Animal Crackers and Elmo Jams. True Life: I'm A Mommy Blogger. Sheepie.. Remember That Guy? Well, He's C's BFF. The Paper Mama Photo Challenge: Whatever!